So, I should be sleeping by now. School starts in less then 8 hours. But I'm too restless for that. And I haven't got anything done today. I haven't even got any inspiration at all to draw. The only thing I've done today is cooking. And that actually turned out better than it normally does. I'm a terrible cook. 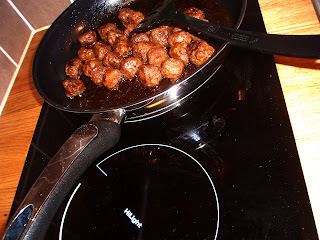 But today I got this idea of doing homemade taco meatballs and they actually turned out really delicious. I'm pretty proud of myself that I didn't burn them ;) Anyone got any great recipe to share? I got no ideas of what to eat. Since I moved out from my parents house ( 5 months ago) I've only cooked chicken wok, gulash soup and taco meatballs. Haha. Thats baaaad. I seriously need to lern some more recipes. 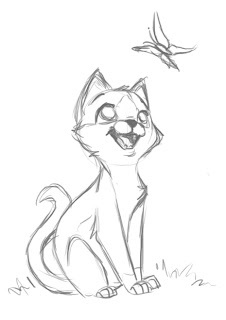 And here's one little kitty I sketched today. 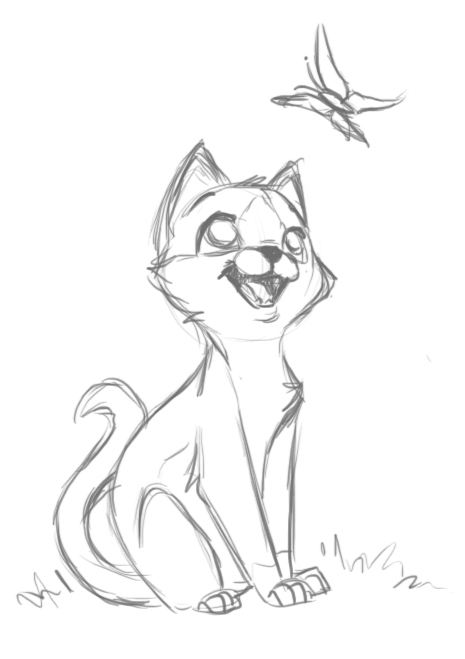 It looks very much like all my other drawings, but this is just the results of sketching while watching tv.